Welcome to Prixm™. We care about privacy and want to clarify our privacy and data policies in this agreement. This policy talks about the information we collect from you and how we use it. If you do not agree to this policy, you cannot use Prixm in any way. We can change this policy whenever we want and will email you an updated copy if we have your email address. You may notice it or not. We have intentionally written this policy in a way that avoids legalese so that everyone can clearly understand and agree to the policy and understand their rights and responsibilities. If you have questions or concerns, please email us at support@prixm.com. Our website is not intended for children, defined as anyone under 13 years of age in the US and anyone under 16 in the EU. Anyone under the age of 18 must have a parent or guardian be willing to agree to these terms on your behalf. If you are a child under these definitions, you may not: use or provide any information on this application; use any of its features or register; make any purchases; use any of the interactive or public comment features; or provide any information about yourself to us. If we learn that we have received personal information from a child without parental consent, we will delete that information. If you believe we might have any information from or about a child under 13, please contact us at support@prixm.com. Registration information: Name, username, profile picture, email address, phone number, and birth date Create an account for you, verify age. Verify you haven’t been kicked off previously. Email you about our policies, or respond to support/contact requests. Usage: Device/phone type, operating system, and how long or often you are using the service. Improve user experience. Provide reliable services based on usage. Promote healthy uses of technology. Content: Your photos, videos, and text on your page and what you post on other pages. Operate the platform by sharing what you ask us to share. Keep Prixm safe and secure and help everyone to follow the rules. Use technology filters and algorithms to find users/content that breaks our rules. Networks and connections. Operate our connection features and settings so you only see what you want to see and people can only see what you have allowed them to see. Payment information: credit card, payment processor logins/passwords, billing, shipping, and contact details if applicable. Securely process purchases. 3.2. Who Has Access To The Data We Collect? We claim a “Legitimate interest” for processing your personal information when you submit the information with an expectation that it will be processed without any impact on you. If you have questions about your data, what we use it for, or the basis for us collecting it, please contact us at support@prixm.com. To exercise any of these rights, please contact support@prixm.com with your request. Although this is mentioned above, we want to emphasize that wherever we’ve asked for your consent to collect or process your personal data, you have the right to withdraw that consent. If you receive email messages from us, you can use the “unsubscribe” link in each message to withdraw consent and stop the mailings. Alternatively, you can contact us at support@prixm.com with your request. 3.6. Do We Transfer Your Data To Third Countries? No. We are located in the United States. Your data is collected and held here. However, we may use data processing in other locations if we feel it meets the stability and security standards of Prixm. 3.7 Privacy Concerns, Contacting Us, Complaints. You can contact support@prixm.com with any questions or requests about these policies or your personal data. If, after contacting us, you feel a privacy issue has not been resolved, you have the right to file a complaint with a Supervisory Authority such as the Data Protection Commissioner of Ireland. 4.1. Do Not Track Signals. If you are an individual under 18 and have provided personal information or content to us in some manner, you have the right to request the deletion of that information pursuant to the “California Eraser Law.” Contact us to make such a request at support@prixm.com. 5.2. Legal Disclosures of Personal Information. 5.4. Public Interaction with Others. When you share and communicate using Prixm, you choose the audience or group of individuals that can see your content. When you share information publicly, that content can be seen by anyone, on or off our service, even if they don't have an account. This includes your username; any information you share with a public audience; information in your profile, and content from your Prixm page. Public information can also be seen, accessed, screen-shotted, reshared or downloaded through third-party services such as search engines, APIs, and offline media such as TV, and by apps, websites and other services that talk to our service. Please remember that any information you provide that it shared publicly is not private and that the Internet rarely forgets. Any publicly posted can be viewed -- well PUBLICLY and could be viewed by anyone, including family, friends, media, investigators, and potential employers conducting background checks. 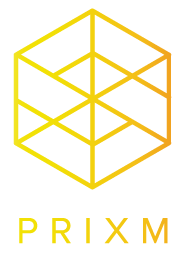 Should we sell some or all of Prixm, the personal information you have chosen to share as part of your user profile may be an asset that will be sold to the new owner. Learn more in your Prixm settings. We store data until it is no longer necessary to provide our services, or until your account is deleted - whichever comes first. This is a case-by-case determination that depends on things like the nature of the data, why it is collected and processed, and relevant legal or operational retention needs. When you delete your account, we delete content you have posted, such as your photos and status updates, and you won't be able to recover that information later. Information that others have shared about you isn't part of your account and won't be deleted. When we have a good-faith belief it is necessary to: detect, prevent and address fraud, unauthorized use of our service/products, violations of our terms or policies, or other harmful or illegal activity; to protect ourselves (including our rights, property or products), you or others, including as part of investigations or regulatory inquiries; or to prevent death or imminent bodily harm. For example, if relevant, we provide information to and receive information from third-party partners about the reliability of your account to prevent fraud, abuse and other harmful activity on and off our products. Information we receive about you (including financial transaction data related to purchases made through Prixm) can be accessed and preserved for an extended period when it is the subject of a legal request or obligation, governmental investigation, or investigations of possible violations of our terms or policies, or otherwise to prevent harm. We also retain information from accounts disabled for terms violations for at least a year to prevent repeat abuse or other term violations. The Policy is the final word between us about privacy. Please don’t rely on anything else you read or hear about this policy or the rules in it. If we change this policy -- it will be in writing and we will let you know.